I can hardly take any credit for the beauty of these simple curtains. I was looking for something pretty to dress up the windows in my craft room and I came across this fabric in my stash. It was a gift from a friend. One of her relatives was cleaning out so I inherited some great material! These curtains are made very simply. I sewed a seam up each side and a pocket for the curtain rod. 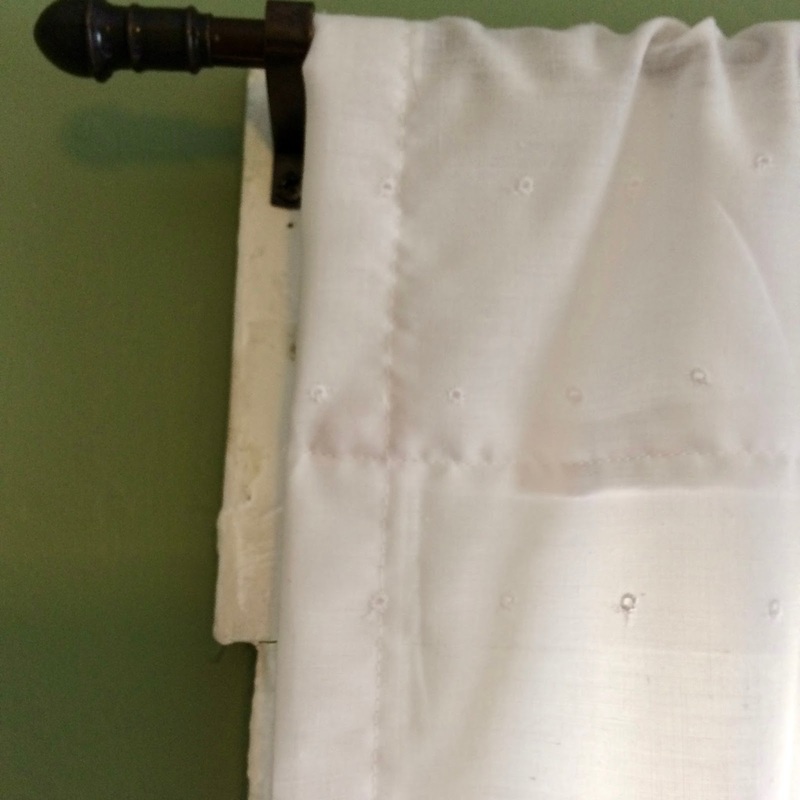 I have no tutorial or step-by-step instructions, but if you can fold and iron fabric and sew a simple line, I think you can do it! Here's a closeup so you can see the eyelet and embroidery details. The fabric came with the embroidery and ribbon completely finished. Trust me when I say they were easy. I didn't want a ruffle on the top, but if you did, you would just sew two pockets and put the rod through the lower pocket. 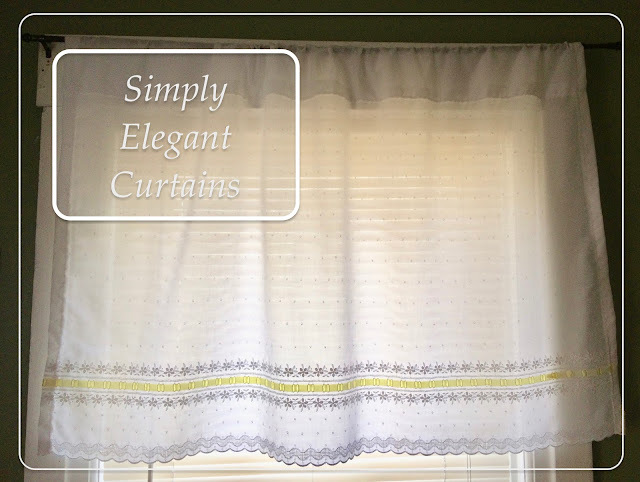 Curtains are one of the easiest things to make for even the least-skilled seamstress. Since I've had my Project Runway sewing machine sewing has been a cinch. 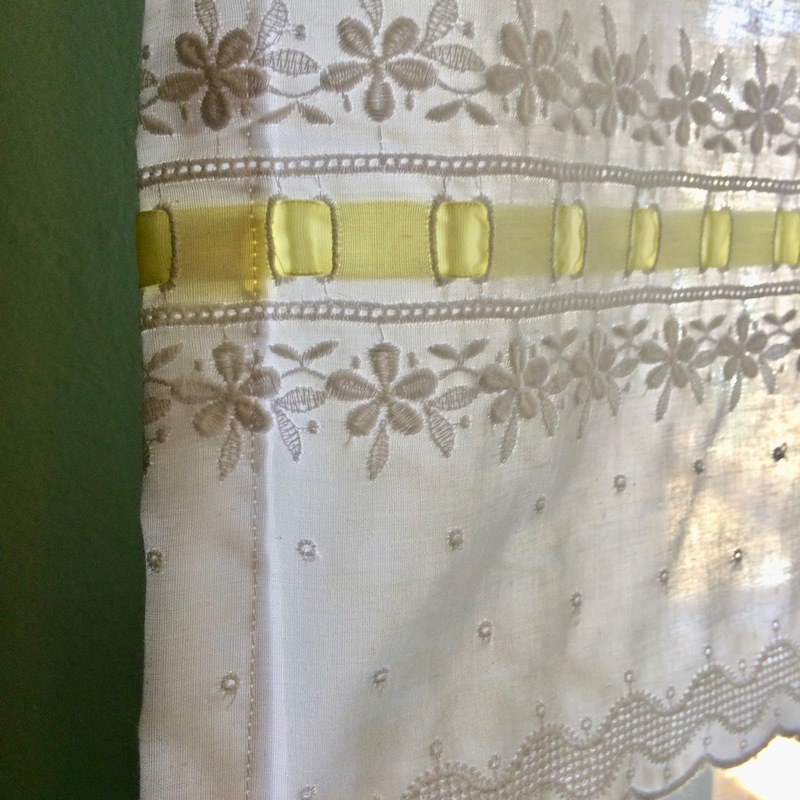 I got it at Walmart a few years ago when I wanted to make curtains for another room. It is the perfect machine for what I need. And, like most other things, I learned to use it by watching a YouTube video. If you have a machine you're not sure how to use, just look for tutorials on YouTube. If it's not a totally outdated machine, I'm sure you'll be able to find something.